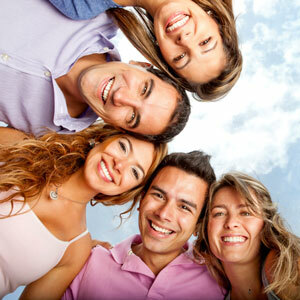 Zoom teeth whitening is exactly what it sounds like; it’s a procedure to whiten your teeth. At K1 Dental Melbourne, there are two whitening options including in-chair whitening, as well as home whitening products. Zoom teeth whitening is a form of dentistry and should only be performed by a dentist or another regulated dental professional such as a dental hygienist or dental therapist. Zoom Take-home Whitening Kit day or night $390.00 which includes three full syringes and personal whitening trays that are designed to fit your teeth exactly. From time to time, we may have other Zoom teeth whitening deals, please contact us to find out if there are any special offers available. 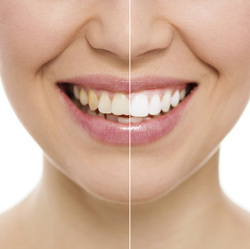 Zoom teeth whitening involves bleaching your teeth to make them lighter and whiter. Unfortunately it can’t make your teeth brilliant white, but it can lighten the existing colour by several shades. Sometimes our smiles can reveal a side of us we’d rather keep hidden such as stained and discoloured teeth. The most common culprits are smoking and drinking red wine, tea or coffee. Over time these can lead to the natural whiteness of your teeth fading and becoming stained and yellowed. How long will Zoom Teeth Whitening last? It can last from a few months up to a few years, but this varies from person to person. Generally, the Zoom teeth whitening effect won’t last as long if you smoke or drink red wine, tea or coffee, which can all stain your teeth. The two main benefits of Zoom In-Chair Whitening are rapid results, combined with the convenience of having everything done for you in approximately 90 minutes. The process begins with an assessment by one of our experienced dentists, followed by a complimentary scale and clean, and then the treatment itself is carried out either by your friendly dentist, or hygienist. If you’d like to enjoy the control of the shade of your smile that comes with administering your own Zoom teeth whitening treatment, then try our Home Whitening kits, which are customised for your teeth. An impression of your teeth is taken and a tray created to fit you perfectly. Whitening gel is added to the tray to lighten the surface of the teeth while you wear it, removing most visible stains over time, and leaving teeth noticeably whiter and brighter. A desensitising gel is also included in our quoted price. Kits include custom whitening trays and the whitening gel. If you would like to book then please contact our dental practice in Toorak, Melbourne on (03) 9827 2922 where our team will be happy to answer your questions. Please note that for Zoom In-Chair Teeth whitening, which takes approximately 90 minutes, we may request a deposit to secure your appointment with our dentist.